Chinnor Village Hall has been part of village life since 1939. Chinnor Village Hall is situated centrally within the village of Chinnor, which nestles at the bottom of the Chiltern Hills in South Oxfordshire. Surrounded by rural life Chinnor Village Hall is the ideal location offering excellent and modern facilities so as to accommodate as many varied events as possible. The Chinnor Village Hall Management Committee is made up of a group of dedicated volunteers who meet once a month on the 3rd Wednesday 7pm at CVH. These are more of a "Catch-Up" meeting and ideas for further fund raising. New Committee members are always welcome. Think about it and come along for a taster, and if you like us, please, join us. An ideal place to hold parties, meetings, club sessions, toddler groups, theatre groups, musical or training events. 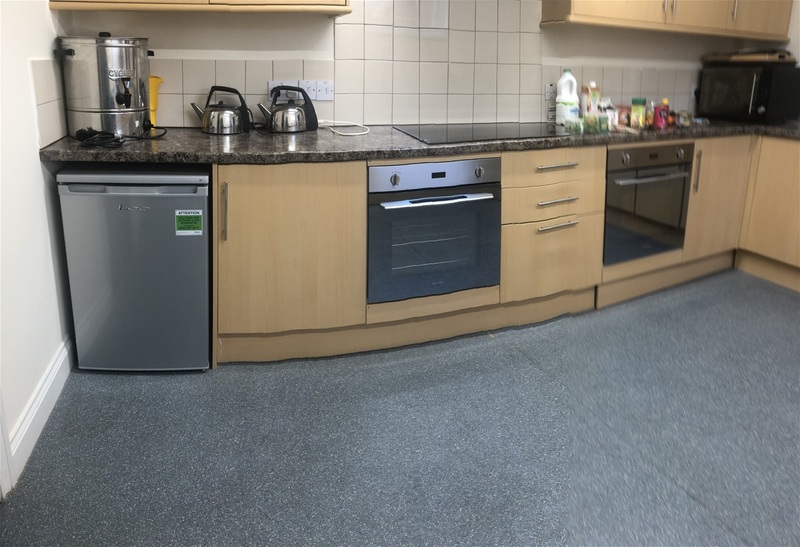 Take a look at our newly refurbished main kitchen. 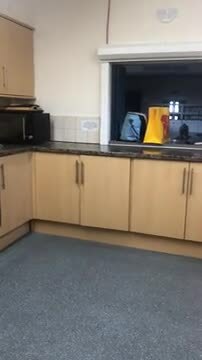 A Thank you to Bovis for their contribution towards the new appliances. 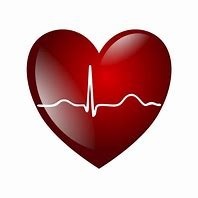 Chinnor Village Hall are supporting the initiative by the NHS "Re-starting a heart". We have already had two very successful training session and would like to offer another one to those who would like to understand CPR and how to use a Defibulator. Training is FREE and takes about 45 minutes. Training sessions are held in the Committee Room Chinnor Village Hall. Date for the next session will be in May and published as soon as it has been agreed. We are intending starting at a slightly later time of 6.45 for 7pm prompt start so as to give those working an opportunity to attend. The Main Hall, having undergone a complete refurbishment in 2015 now boasts a complete new stage, with stage extensions, dressing rooms with their own toilet facilities. The hall has been completely redecorated making sure that is light and airey, new heating and wiring bringing the hall up to modern day standards. During January and February 2019 two major projects will be carried out. The LED lighting will be completed. February half term will see the work begin on the refurbishment of the main kitchen. The work will be completed by the time everyone returns after half term. 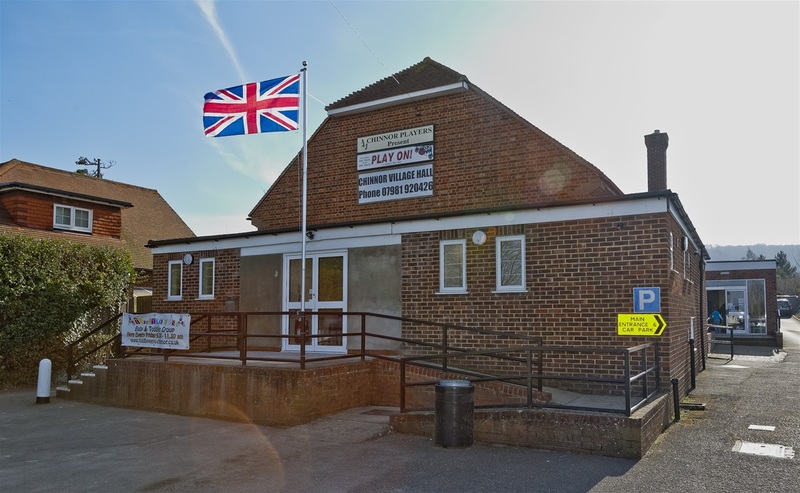 The Chinnor Village Hall Annual General Meeting will be held on 20th March 2019 7pm in the CVH Committee Room. Chinnor Village Hall has joined the South Oxfordshire initiative to help venue's to raise funds for their locations. Please help support Chinnor Village Hall raise funds and continue enhancing our well loved village hall - join our lottery who knows you may win £25,000. GOOD LUCK and thank you everyone for your support.